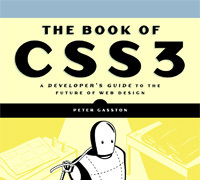 A quick review of Peter Gasston’s new CSS3 guidebook, “The Book of CSS3. Web design is a profession that has always benefited from an abundance of resources available. On a daily basis we receive knowledge and advice from as little as 140 characters at a time to thousands of words. While this is far from a bad thing, it does present a problem in that it can be hard to tell which resources stand out as the best and most reliable for those looking to learn and grow in this profession of ours. 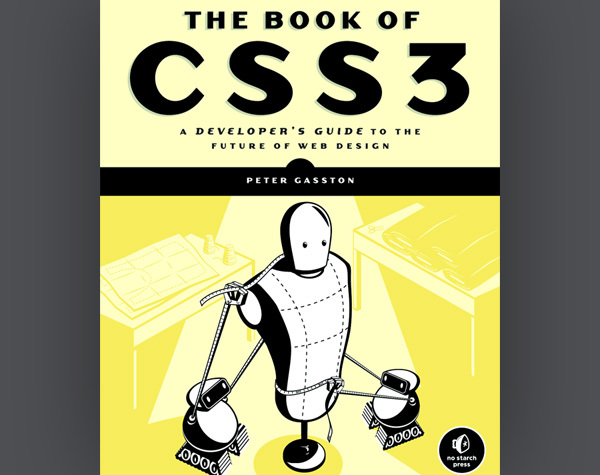 Recently I had the opportunity to read through The Book of CSS3 by Peter Gasston. For the past 2 years CSS3 has been a heavily hit topic, not for lack of good reason. As an enthusiastic designer I try to keep pace with all of the new bits and pieces introduced in the CSS3 specification so when it comes to new resources dedicated to the topic I don’t often have high expectations of learning a lot. With The Book of CSS3 it didn’t take me long to get excited about the content that was covered and the amount of depth involved in the topics. The book itself is a durable paperback printed in black and white. Despite a lack of color the book does not lack in visual representation of the features being discussed. In fact, The Book of CSS3 does an excellent job of keeping descriptions clear with focused examples. The content generally provides straight forward explanation of code implementation. While it provides readers with a full array of possibilities it generally leaves creative implementation of CSS3 features in our hands. In my opinion The Book of CSS3 is not a light read for those who are hoping to learn the basics of web design. Instead the material is aimed at web designers with some level of experience and a pretty healthy level of curiosity about where CSS will be taking us in the future. As a result, this book is an absolutely fantastic resource for developers and serious designers and I would recommend a full read of the content. For designers who lean on the more casual side don’t fret! The Book of CSS3 is an excellent desk reference that, unlike some published work, will retain its value for quite some time. The appendices at the end of the books content extend the learning experience with a comprehensive list of browser compatibility and additional resources. All said and done, I would highly recommend The Book of CSS3 to designer and developers alike. Peter has done an excellent job of capturing the power of a printed resource by providing depth and value simply not found online. Jason Gross is a freelance web designer focused on creating clean and user friendly websites. Jason currently lives in Indiana and can be found on Twitter as @JasonAGross or on the web at his personal blog and portfolio.